I had wanted to purchase this foundation a while ago, but since we just had the summer my complexion is slightly more tanned than usual. However since we’re going into autumn/winter I decided it is about time to get a colour match. So I happened to be in Selfridges, and decided to head over to the Chanel counter. The sales assistant tried 3 colours on me, B30, B40 and B50 and decided that I could wear either B30 or B40 (B50 was much too dark). I chose B30 because in a few more months when I’ve lost my tan I think this will be the right shade for me. To use the Vitalumiere Aqua you first have to give it a bit of shake. Whilst it’s in the bottle the foundation separates, so if you don’t shake well you’ll get greasy water like liquid instead of silky foundation. I would also just like to add that the smell of this foundation is amazing! Like perfume from a bottle and this makes it a real pleasure to use. It has SPF15 as well which is good because even though winter is around the corner, we should not neglect our sun protection. 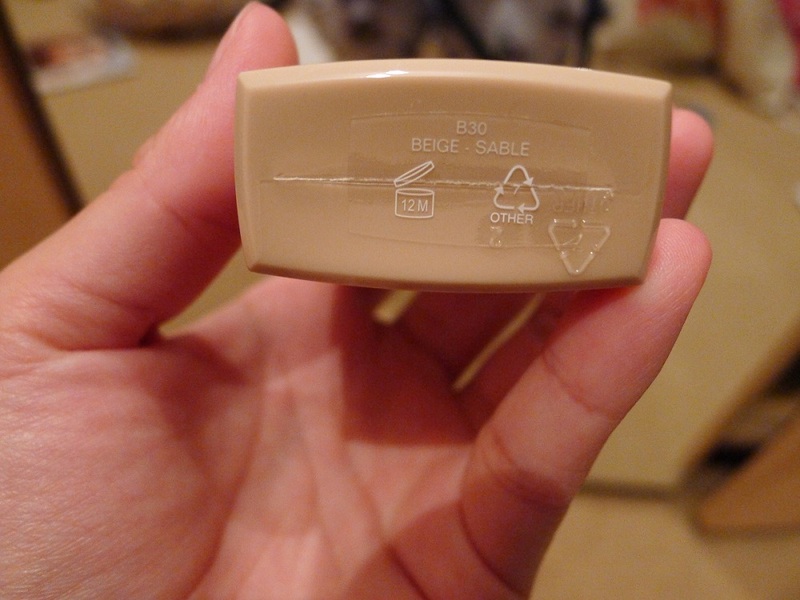 The bottle is small and made of plastic so it’s ideal for travelling with. Despite the size you do still get the same amount of product than you would get in the glass bottles – you just don’t get the extra added weight. The application of the Vitalumiere Aqua is very smooth – it really does just glide onto the skin! I like using my fingers with this foundation as it is easier for blending and I find it also applies more evenly. 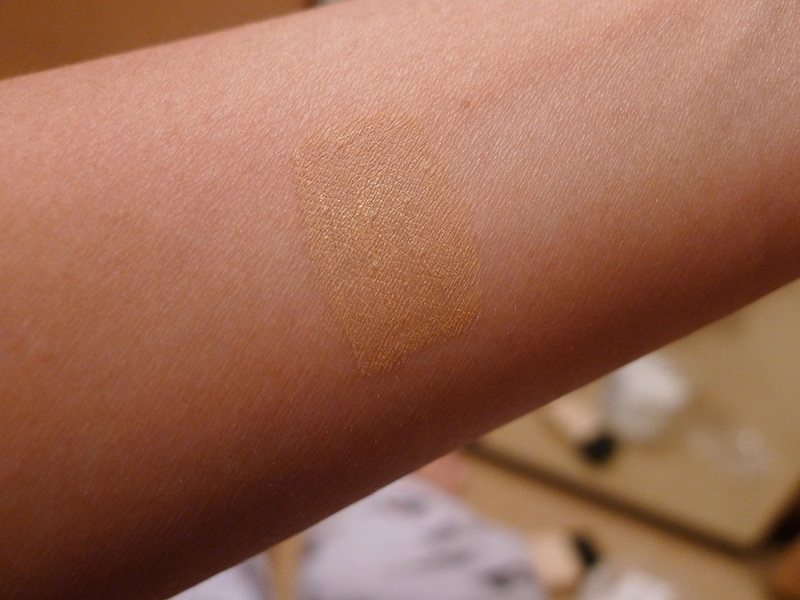 I would say the coverage of this foundation is light/medium, but it all depends on how much you apply. The finish is matte, but you do still get a slight dewy glow which is something I look for in a foundation – I like my face to look natural. At the moment I have only used it for one week, but so far so good! The only thing I would say is that I don’t like how my T-Zone becomes shiny too quickly if I don’t powder it first. Other than this issue though I do find this to be a very nice foundation. 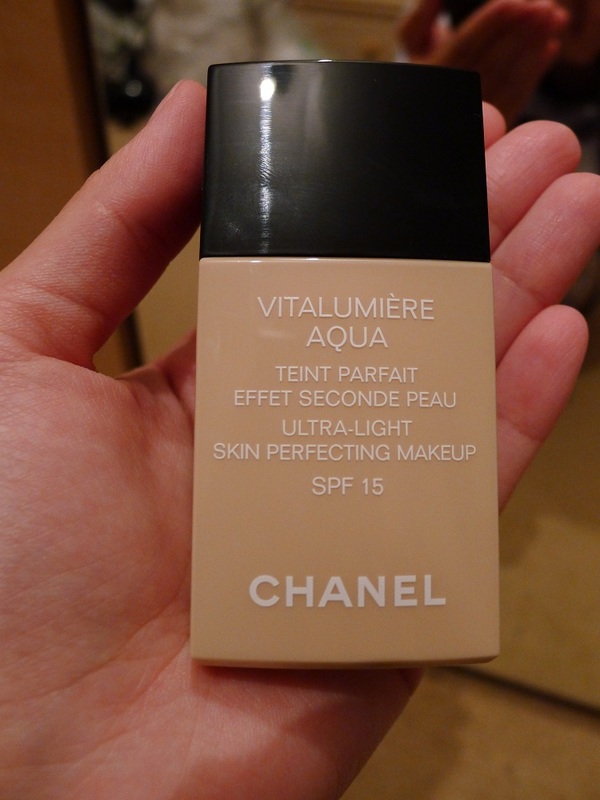 Chanel Vitalumiere Aqua is my first high end foundation, and overall I am very pleased that this is my first. I was previously using MAC’s Face and Body foundation, and I did enjoy using it but I found the consistency of the foundation to be much too liquid, therefore very messy when applying. really clear information and great illustrative photos. you’ve got a great beauty site here. wich shade matches the indian skin tone more? Hi, this normally costs around £32 from what I can find online. In terms of colour matching it’s probably best to go into store and ask a sales assistant to match you up 🙂 Also if you do have any product applied, check out your complexion in natural daylight as well and don’t rely just on department store lighting so you can really see if it’s a true match. Hope this helps!